Working at startup require fast changes. You start a new feature with proof of concept, and then on the success you want it to stay and have to make it stable. That’s not the case for standalone PostgreSQL instance we’ve had at Storyline for about a year now. We just grew out and had to change our infrastructure. We want our database to be easy to scale in a cloud, replicable, fault tolerant, and all that without any administrative hassle. 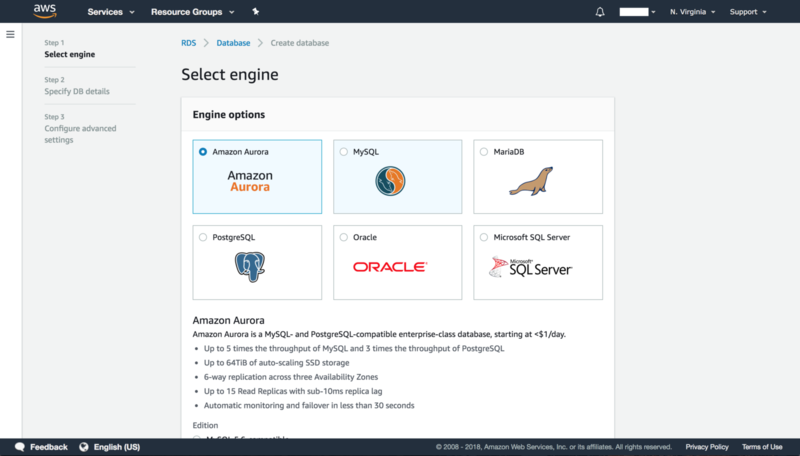 In other words, we need to migrate to Amazon Relational Database Service (RDS), furthermore, we want it to be Aurora: PostgreSQL compatible relational database built for the cloud, that combines the performance and availability of high-end commercial databases with the simplicity and cost-effectiveness of open source databases. 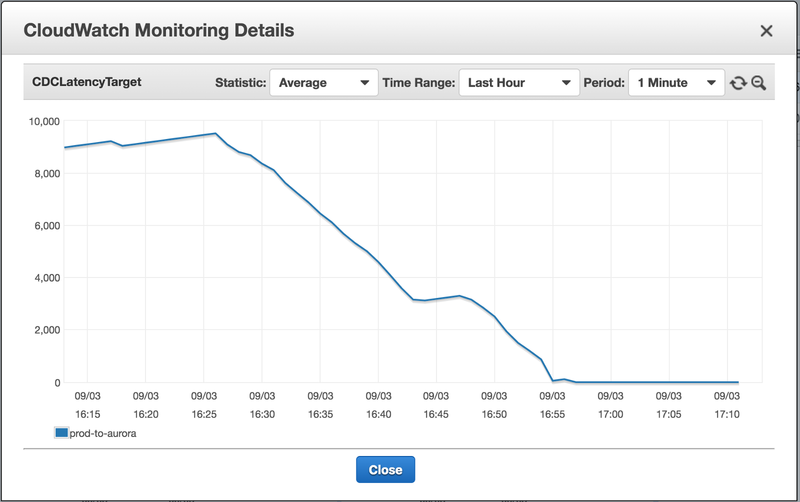 The problem to be solved is how to migrate all of ours 15 Gb of data to Aurora with zero downtime. 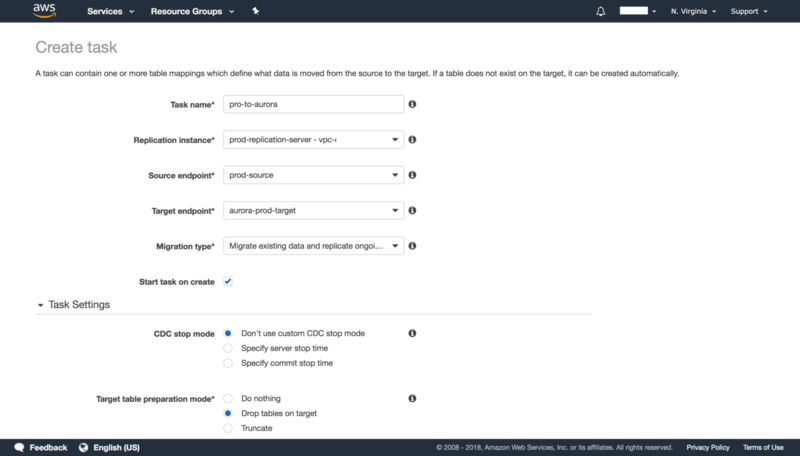 The idea behind migration is simple: create Aurora cluster in RDS, setup database source and target endpoints at DMS, and launch database migration task. 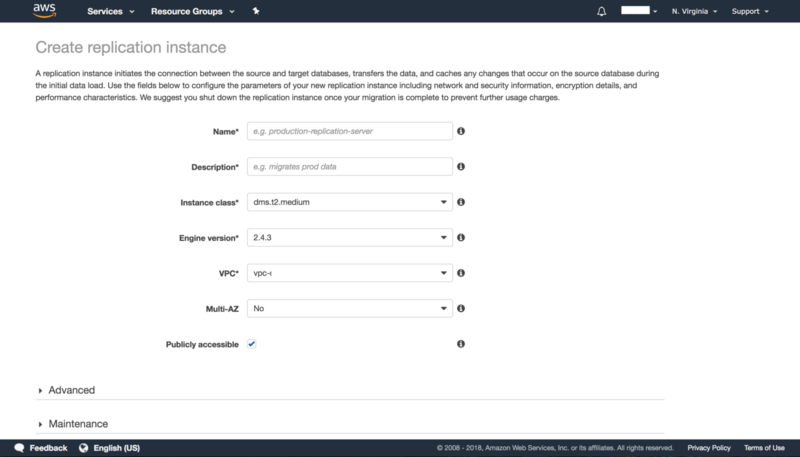 The data migration task will migrate all data from the source database, and replicate ongoing changes to the target endpoint. All you have to do is to point your web server to the new Aurora cluster, and hot reload web server once the source and target endpoints completely in sync. However, the devil is in the detail. It took me about a day to figure out the right path for that migration. Our staging server had a couple of up and down cycles during endless retries of me figuring out what was wrong. Let me share my experience, while DMS migrates another million rows to Aurora. 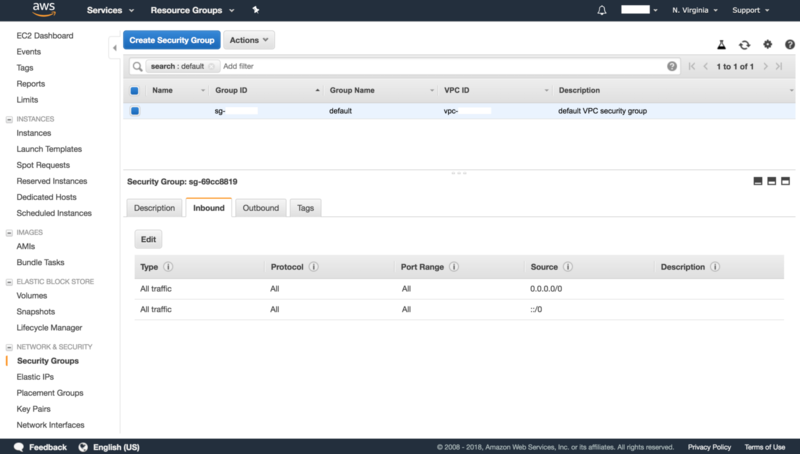 Another thing that bothered me, is AWS VPC security groups. For simplicity, I’ve set up a security group with the inbound and outbound rule of 0.0.0.0/0 Which was updated to more secure mask right after migration was completed. Once that is done, you can check new user roles via \du in psql console. A note here — I did not create a database at this point, since I will load my schema manually later. But it’s up to you. You can create or delete DB anytime. 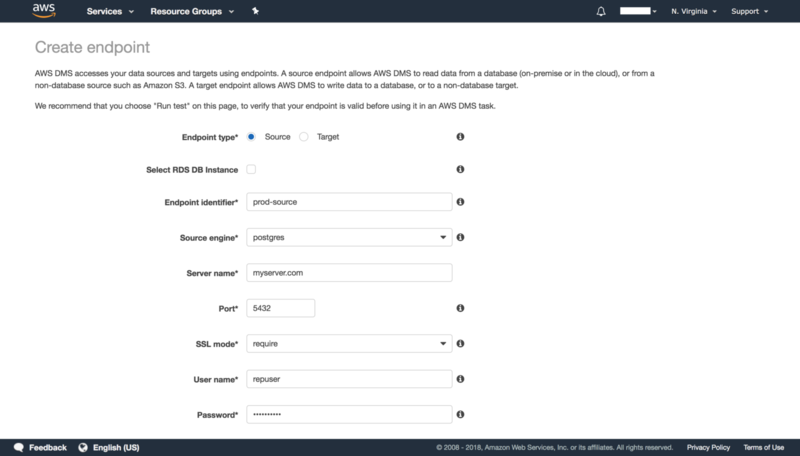 Store RDS user name and password for later reference, and once your RDS instance or cluster is ready, grab endpoint url of the instance or cluster. 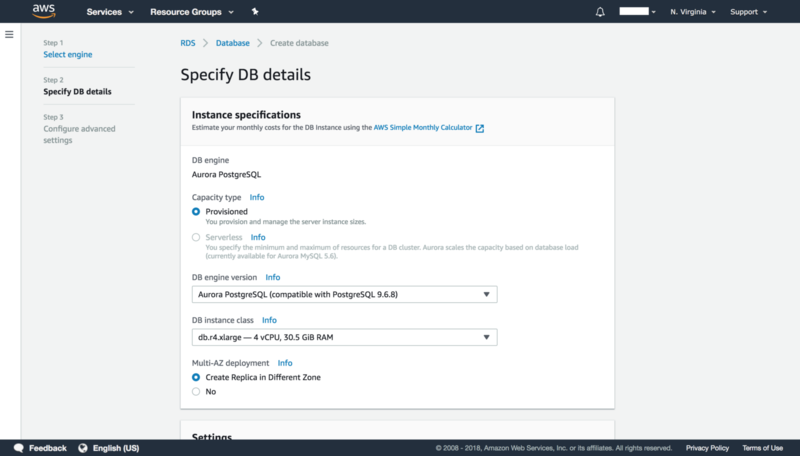 Should be something like “rds-aurora-prod.kdfoe7d9ww9do.us-east-2.rds.amazonaws.com”. We will need it for DMS target endpoint. Replication instance — cloud computing power to handle the data migration, and ongoing replication. Source endpoint utilizes the configuration we did in part #1 for “repuser”. Later you can test your connections, to make sure no mistake sneaked in. 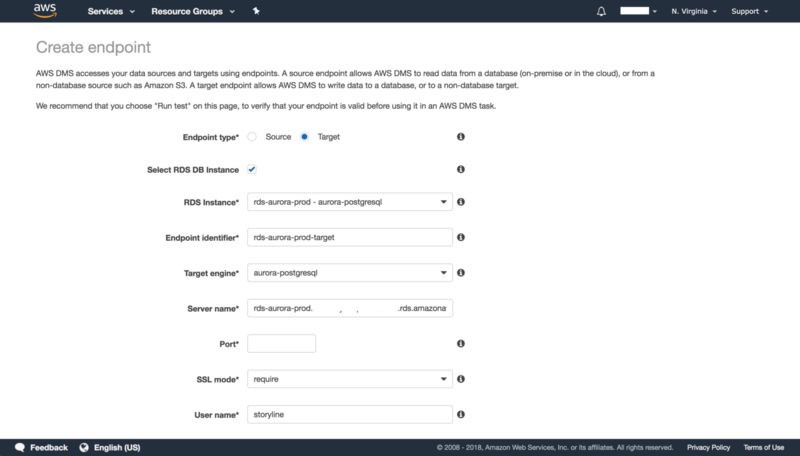 Target endpoint is as simple as checking “Select RDS instance” checkbox and choosing newly created aurora RDS instance from drop down. DMS Task, is where all the work happens. Its’ responsibility to migrate data from source endpoint to target endpoint, cache all changes that may happen during the initial data transfer and apply cached and ongoing changes to the target database. #2 DMS will not transfer your schema 1 to 1, neither indices! Set “Stop task after full load completeness” to Stop before applying cached changes. IMHO: Most framework our days have some sort of wrapper for persistence layer, specifically for databases. You should be able to use tools they provide to easily switch database endpoint and load schema or rum migrations. Since we’ve setup DMS Task “Target preparation mode” to Truncate, the schema will remain unchanged after the DMS migration, and all indices will be there. However the auto incremental sequences will be broken, and I will fix that at “After full load complete” momentum. Remember “Stop task after full load completeness” = Stop before applying cached changes? Great! About 5 hours later since I’ve started my DMS Task for production database migration to Aurora the “Full load” step has completed, and now the whole process is paused and waiting for me to fix the auto-incremental indices. That’s a common problem when copying or recreating a database. 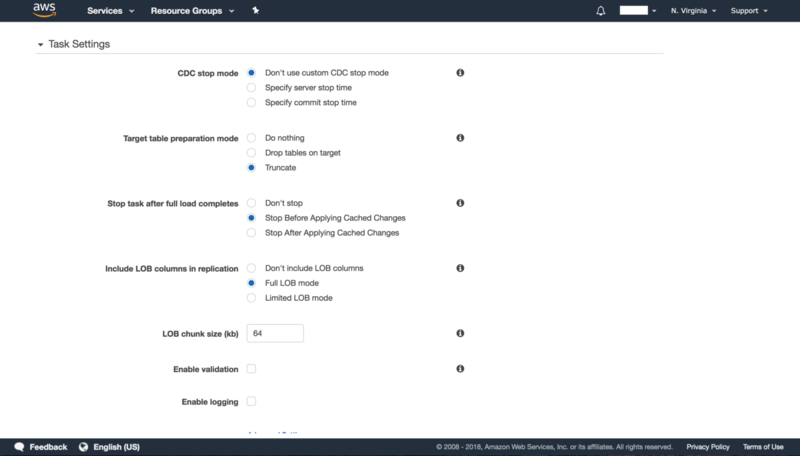 At that point my database has all indices in place and working, and I can safely resume DMS migration process, which will apply cached changes an run ongoing changes replication. Wait for DMS Task to by fully synced. Once it is synced, update you config or ENV variables of web server to point to Aurora RDS, and hot-restart your web server. That’s it. Now you can safely shutdown your old production PostgreSQL standalone instance and enjoy the luxury of database in the cloud. Those commands were useful during my journey to Aurora. Might be good for you too.